Excellence through Passion; the definition of the new Passion MK8. Con l'acquisto di questo prodotto è possibile raccogliere fino a 72 Punti fedeltà. Il totale del tuo carrello 72 punti può essere convertito in un buono di 14,40 €. The MK8 delivers pure, predictable power, paired with amazing stability. 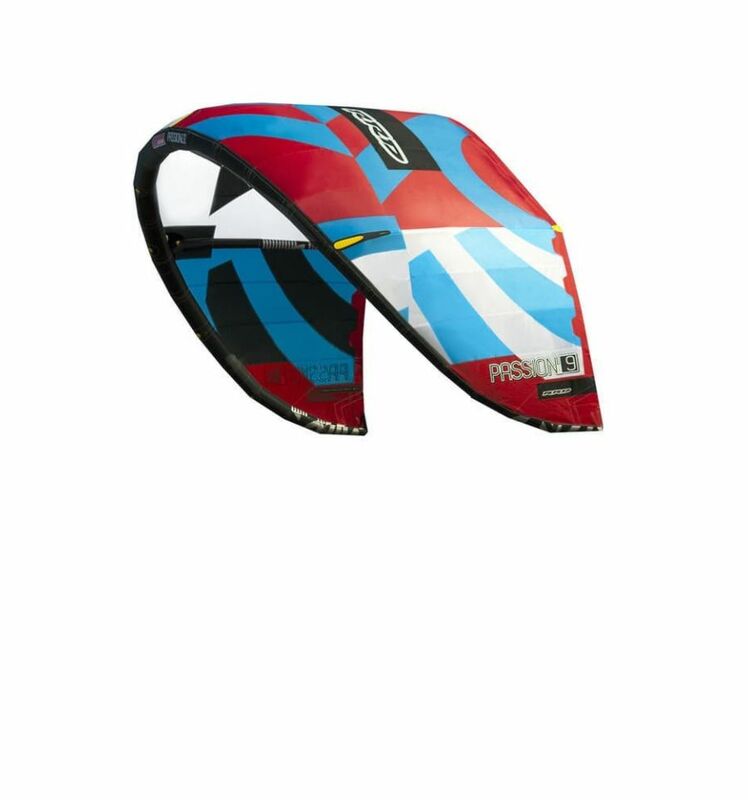 The ‘new best thing’ is a fantastic kite for all-round freeride, big air, and freestyle progression that provides a perfect blend of turning speed, handling, and jumping ability. 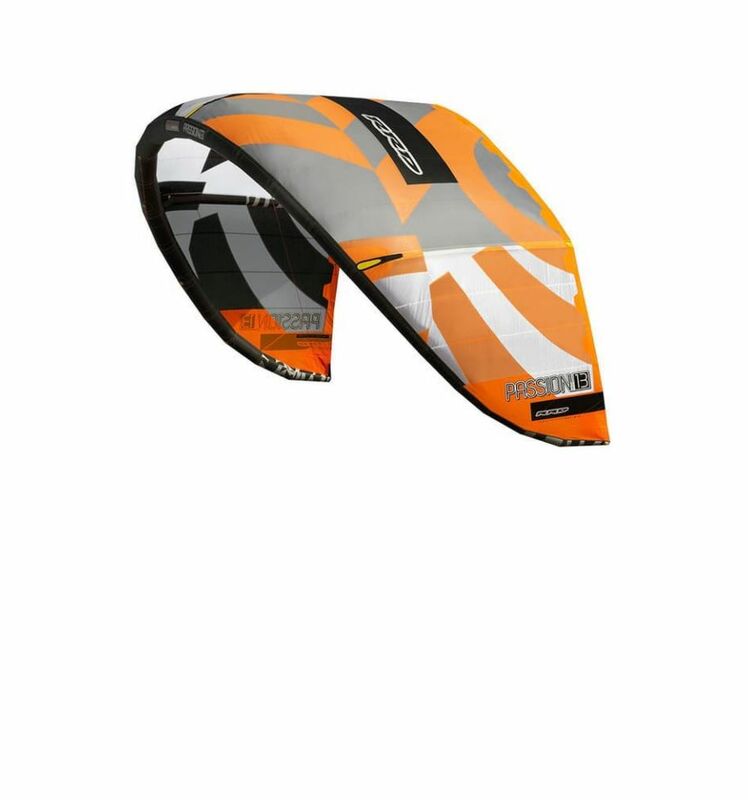 Expect incredible performance from this kite due to the changes made to the profile shape and aspect ratio. The MK8 is re-designed, refined, and has redefined the durability of its predecessor, the Passion MK7. One of the largest differences is that the new Passion MK8 now has 3 struts instead of 5. The reduction of two struts translates into a lighter kite with increased low-end. Because of the increased stability, power, and performance of the MK8, we were able to maintain the same predictable power delivery as the MK7. In addition, the shape of the trailing edge has been improved. We increased the diameter size of the bridle by 1mm and equipped all bridles with a double pulley system. The strut construction with additional reinforcements is also a new feature. 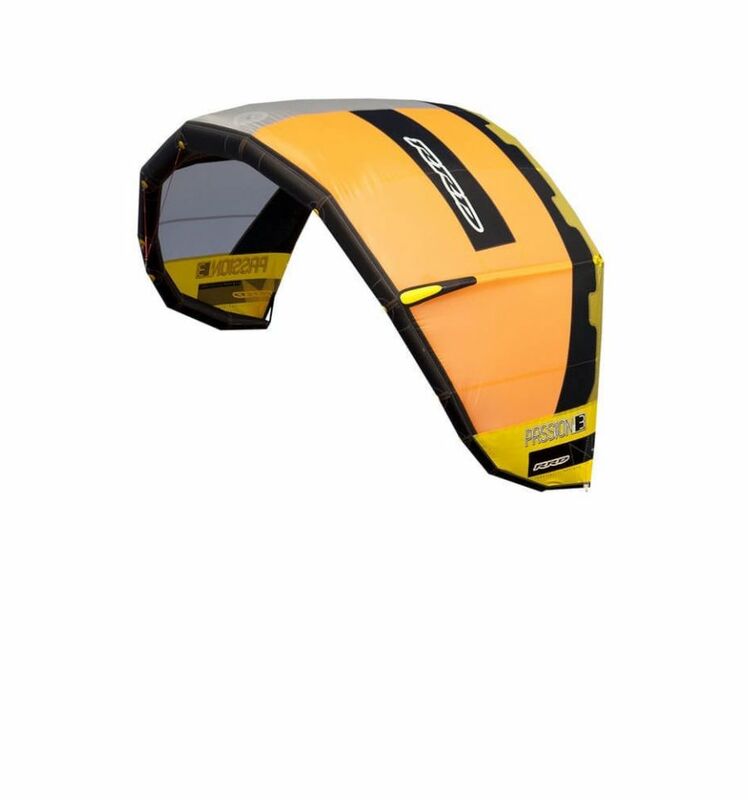 They are connected to the leading edge more securely which improves durability and the efficiency of the airflow over the kite. The Passion MK8 is especially easy to relaunch, even in low wind conditions. Furthermore, the gradually changing power while sheeting is coupled with consistent bar pressure. Thus aiding in the MK8’s predictability. 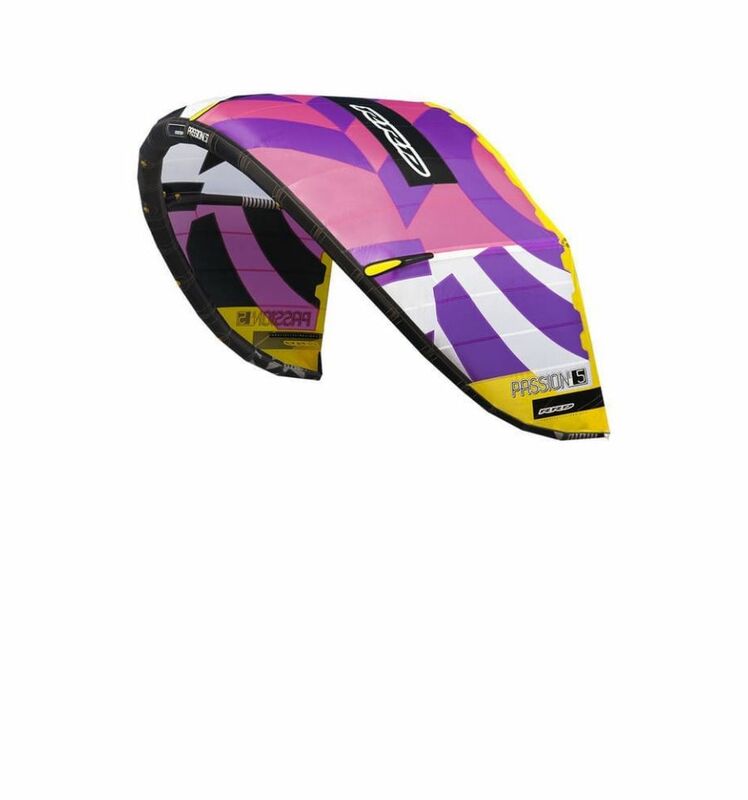 Boosting huge airs is a blast on this kite because the kite is smoother and more stable in gusty conditions with increased turning speed. Don’t hold back! Give it full power. 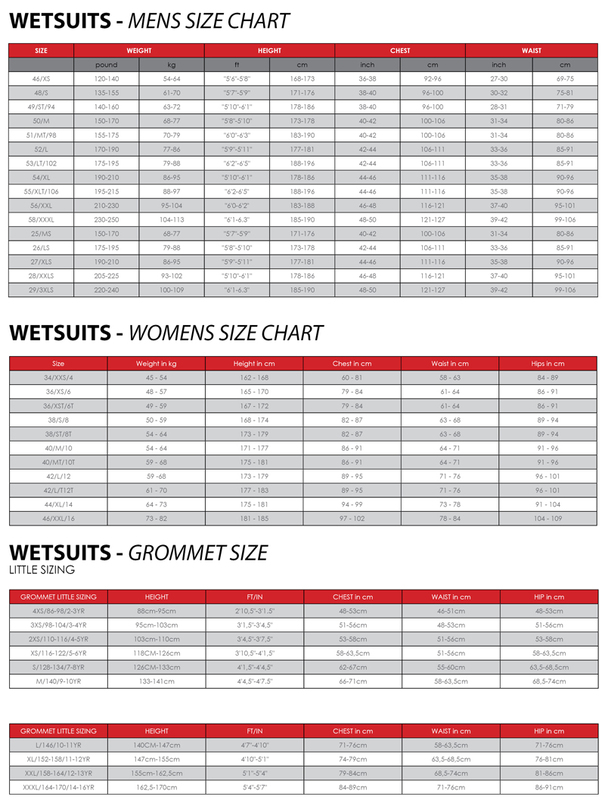 The 15m and 17m sizes are specifically designed for super light wind. All details were considered to reduced the weight of these light wind kites. The special 3m size is specifically made for kiteboarding schools and kids. It is also a new design, simplified to the core, with only two struts, great low end power, and stability for newcomers. A must for all kite schools. As in the larger sizes, the revisions allow this small kite to fly very well in light wind. 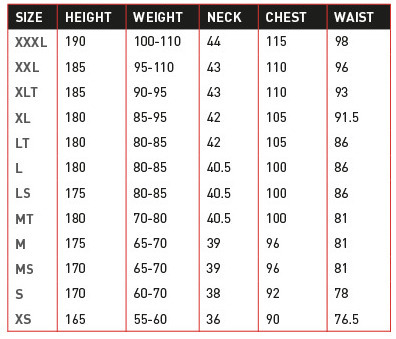 Simply put, this is one extraordinary piece of equipment. If cutting edge technology and impeccable attention to detail is what you’re looking for, look no further. sono ormai cliente da tempo...posso solo dire che è il numero 1 come rivenditore di attrezzatura kitesurf..